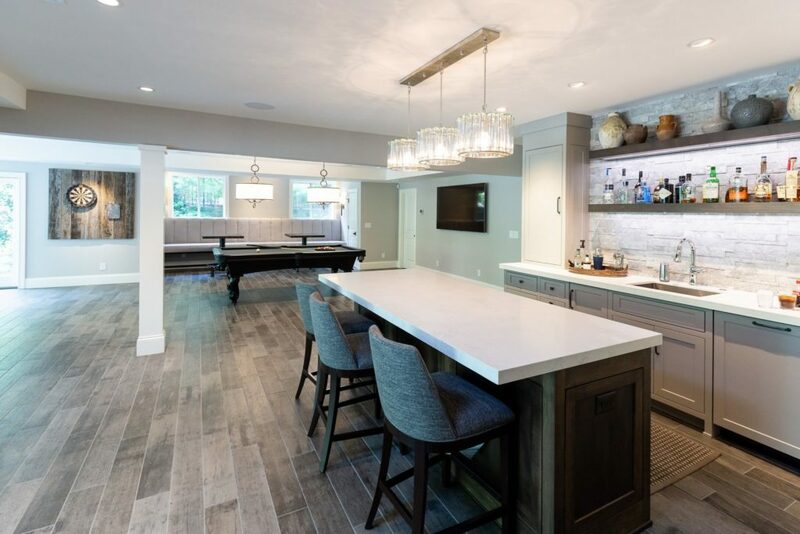 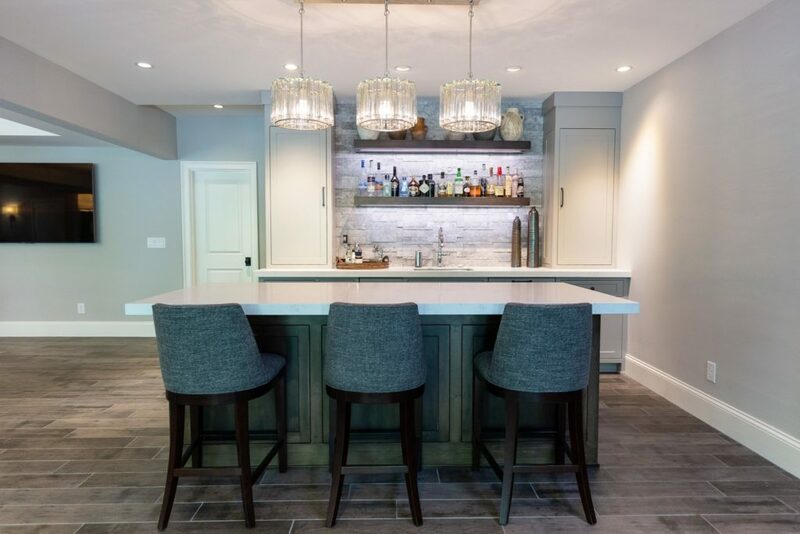 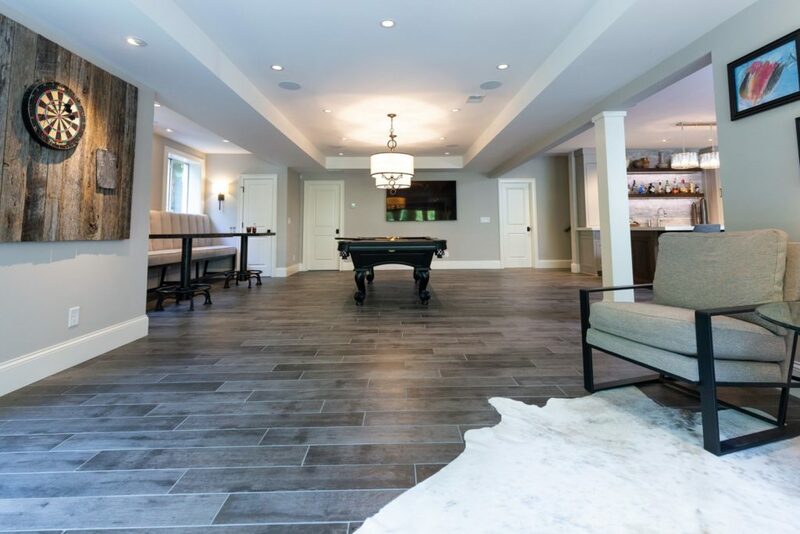 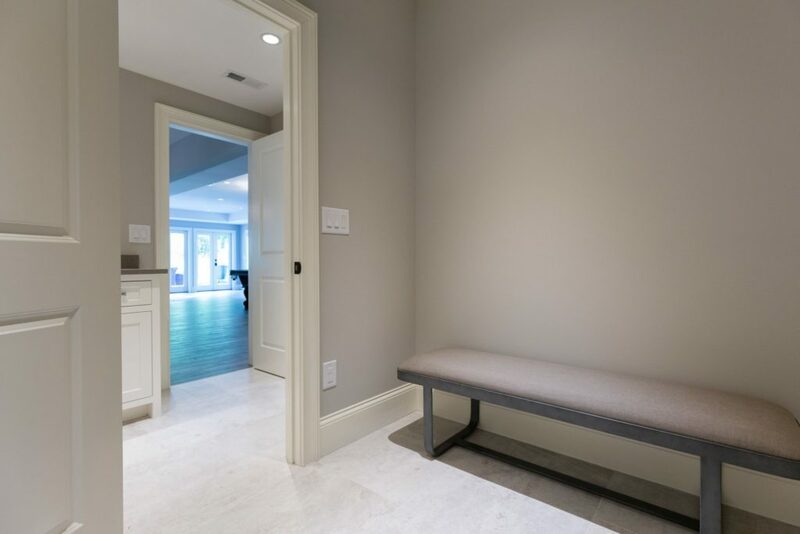 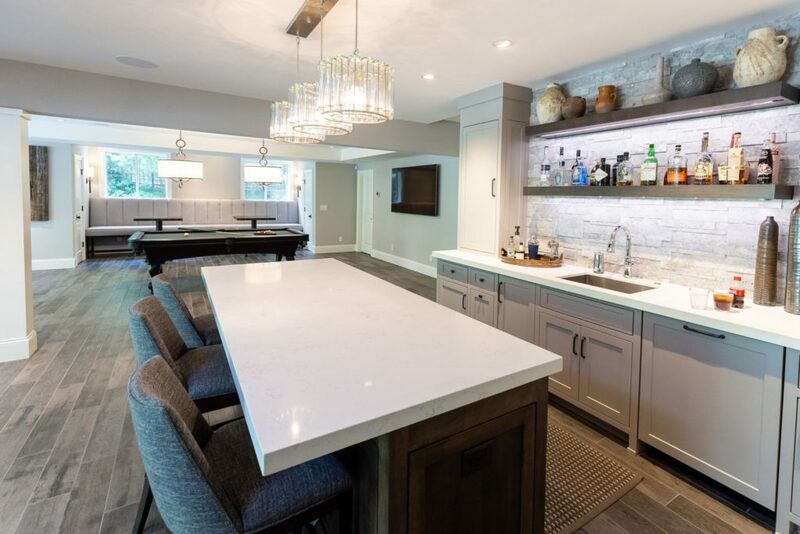 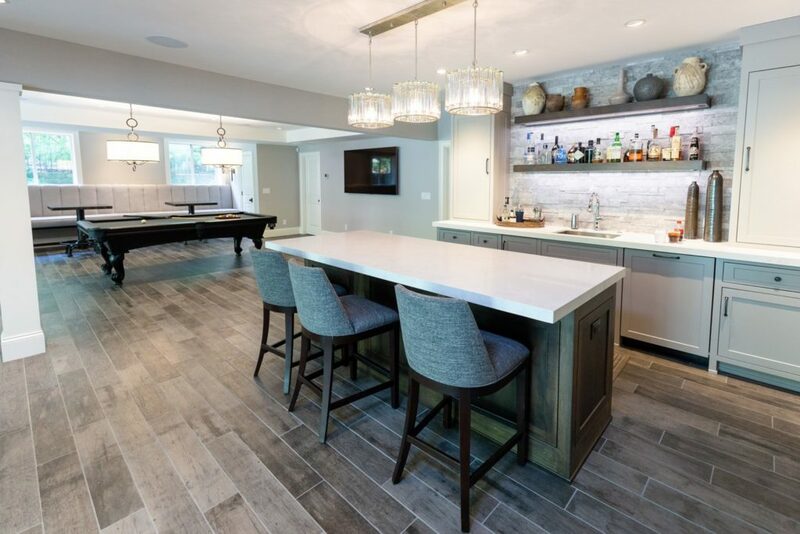 Step into this custom basement and you may never want to leave. 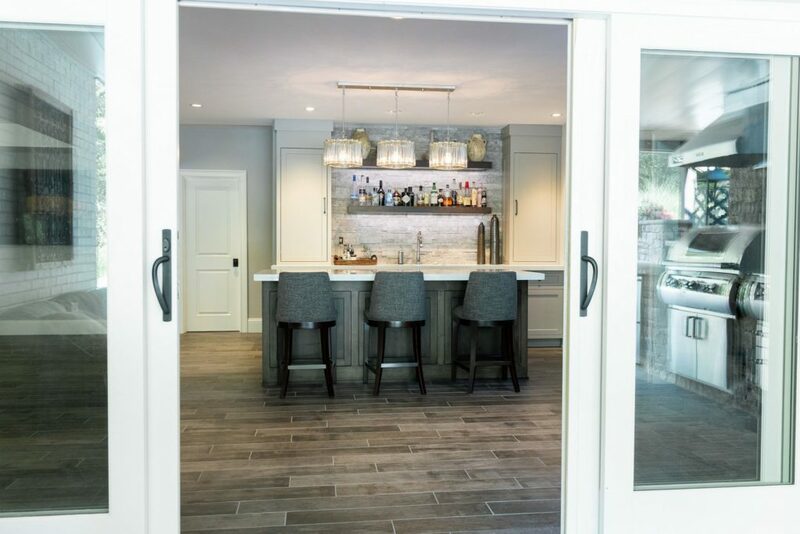 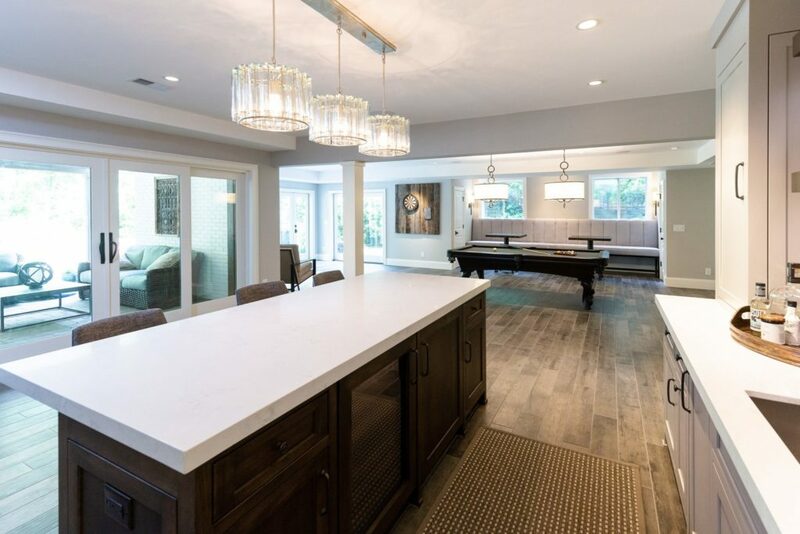 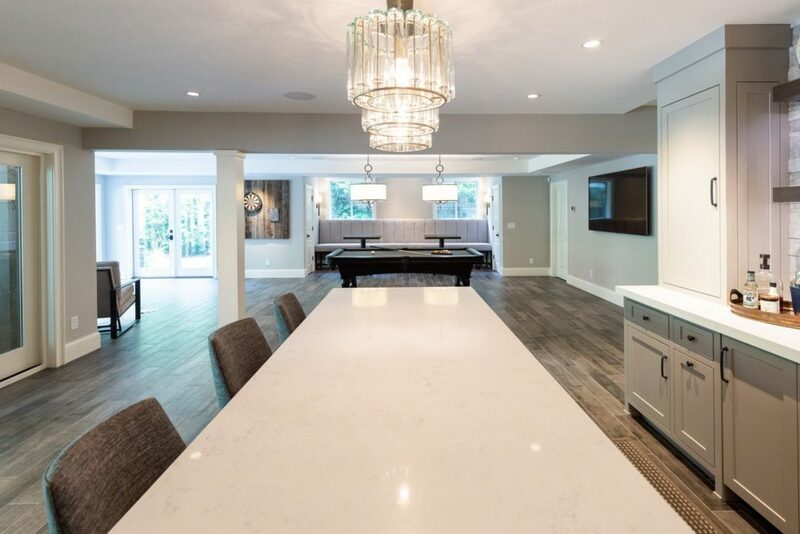 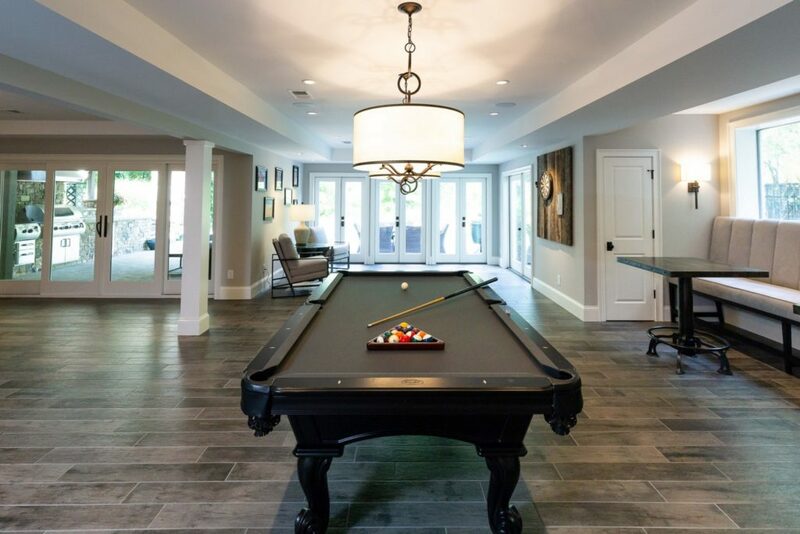 Remodeled to be as welcoming as the new pool outside, this space is perfect for hours of entertaining. 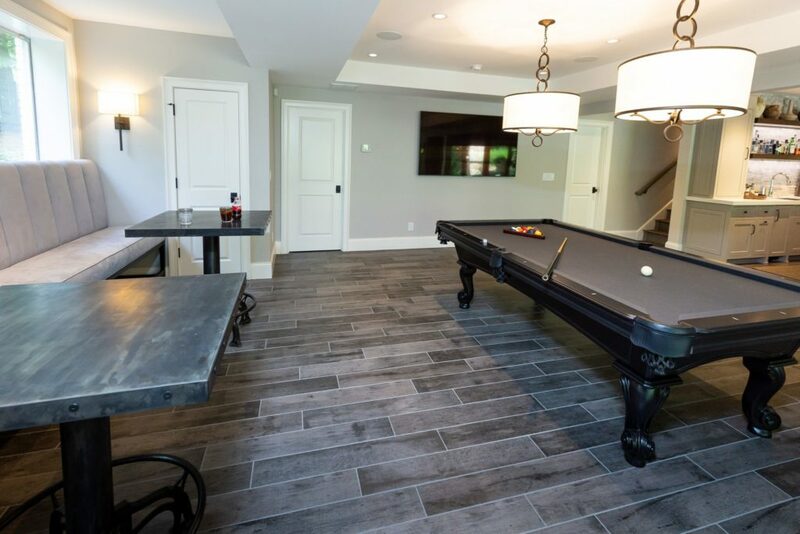 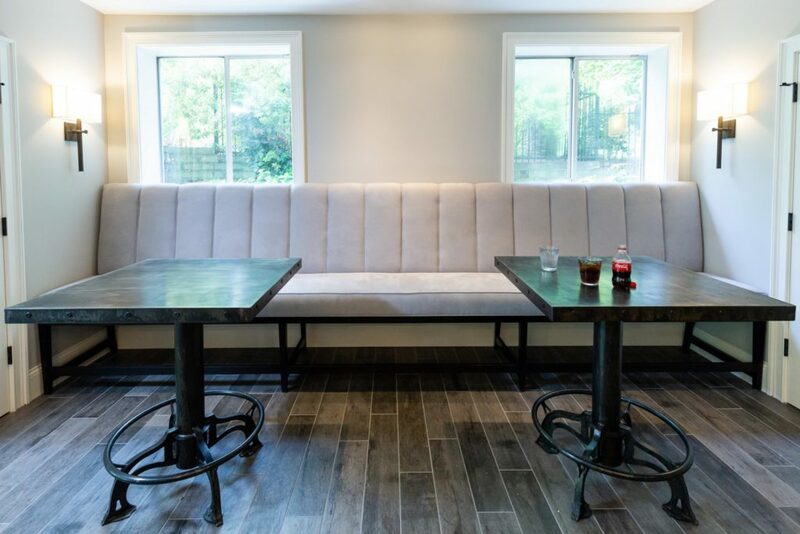 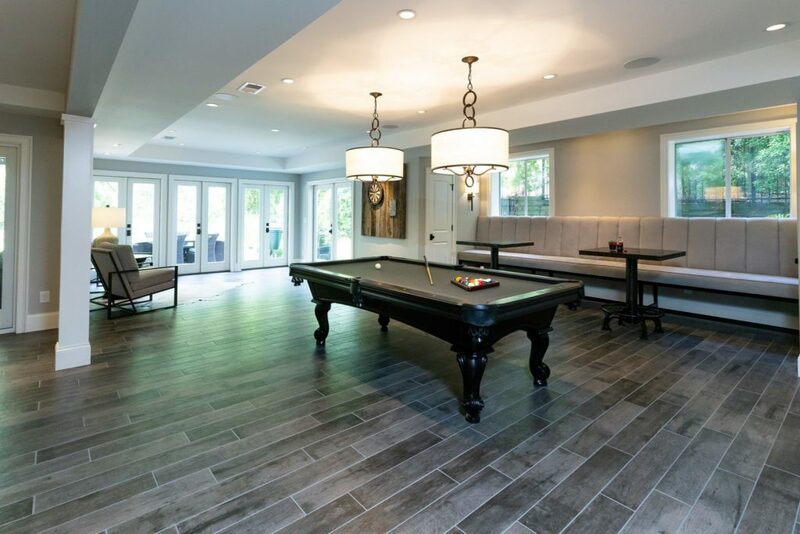 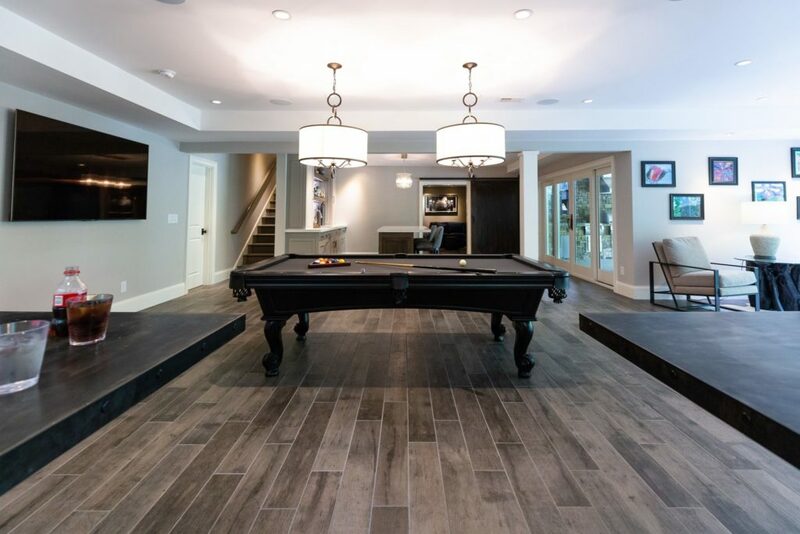 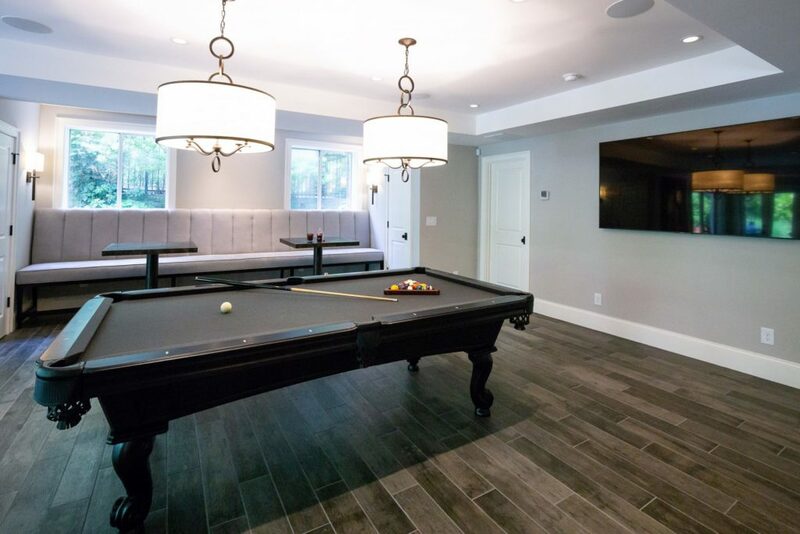 Features include a designated media room, a stunning bar, ornate wooden billiard table, and plentiful seating. 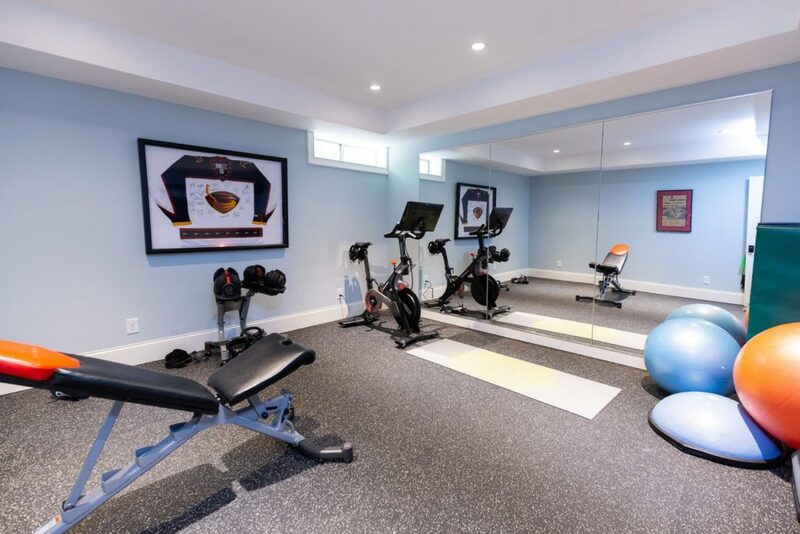 Get a great workout in the personal gym before getting some rest in one of the additional bedrooms. 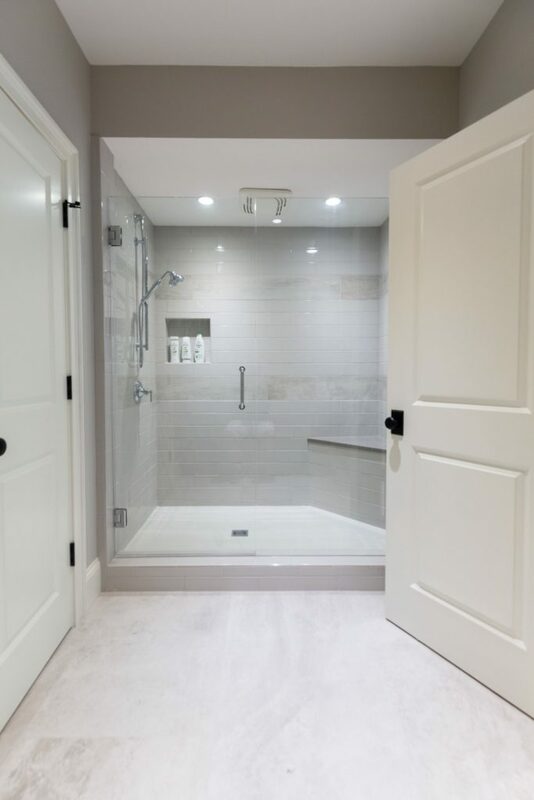 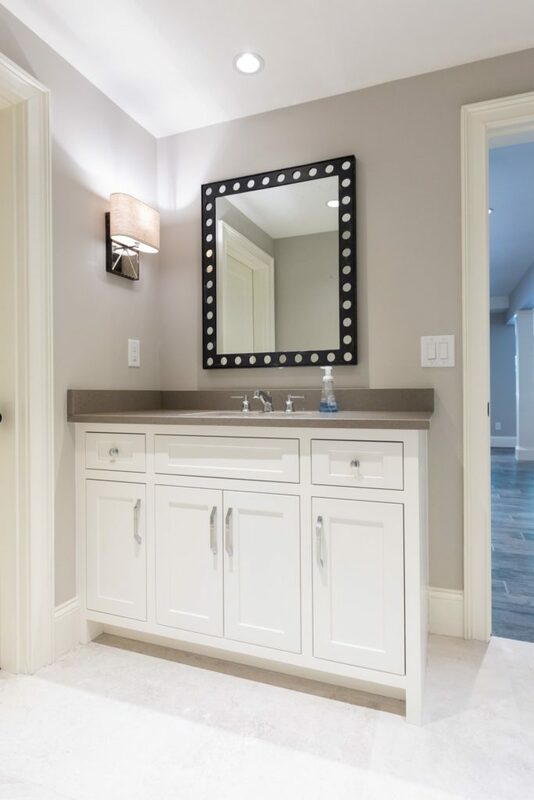 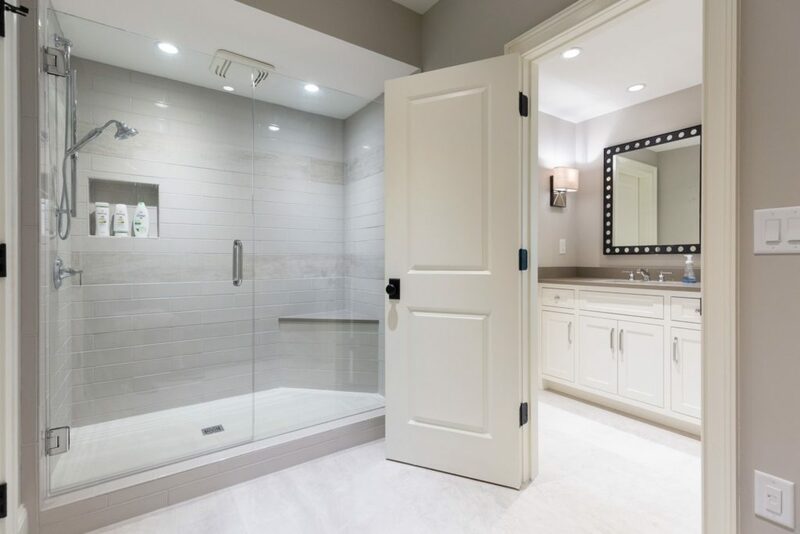 Attention is given to every detail, from the in-law suite with a walk-in shower to the floor to ceiling windows and french doors overlooking the pool area. 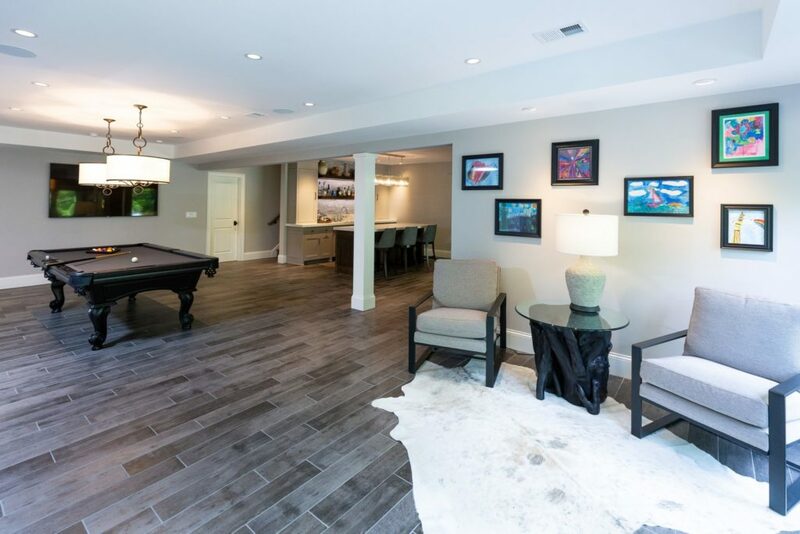 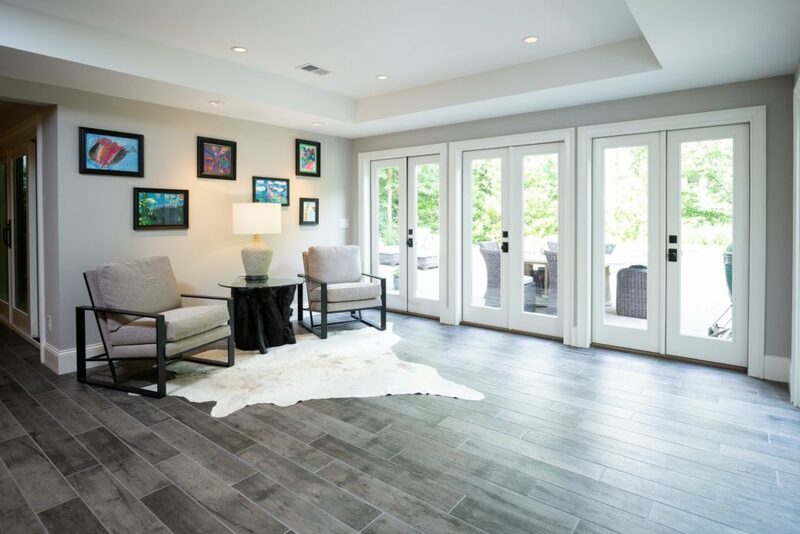 Complimenting the style of the home upstairs, the basement is designed for easy livability.